Pet Trackers – the devices that allow people to monitor and track their pet’s location and activity, are rapidly gaining in popularity. In this article, we are going to take a deep dive into the technology behind these devices and see what the state of the industry is in 2019. 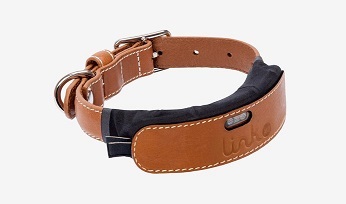 If you aren’t familiar with pet trackers, they are wearable devices that attach to your pet’s collar, or in a few cases, are built into the collar. 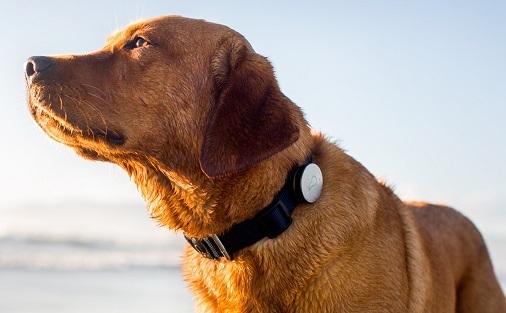 Trackers all require a power source and some type of technology to gather and send data from the pet to their owner. The primary use for pet trackers is to monitor the location of your pet. However, some of the higher end trackers can also help keep your pet healthy by measuring data such as the number of steps walked, heart rate, and other fitness metrics. Bluetooth Pet Trackers are the most basic trackers. They are small gadgets that you pair with a mobile device, typically your phone. These trackers use Bluetooth Low Energy (BLE) to maintain short distance connections. The devices are lightweight and require very little power – typically a small cell battery. The pros of BlueTooth trackers are that you don’t need to charge them, they don’t require a monthly subscription plan, and they are relatively cheap. The cons of Bluetooth trackers are that they can only find your pet if they are within about 200 feet of your mobile device, they don’t keep a history of your pet’s movements, and the need to replace either the battery or the entire device every six months or so. The best use of a Bluetooth pet tracker would be if your dog or cat doesn’t stray far from you, but you still need to locate your pet in a limited area, say within your house or office. The most common Bluetooth tracker is the Tile. Although it is not designed specifically for pets, the Tile is a reliable device normally used for finding static objects such as keys or a wallet. 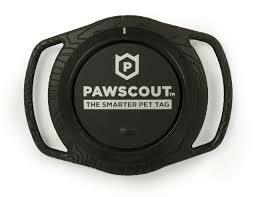 Bluetooth trackers designed specifically for pets include the Pawscout, Pitpat, and the DOTT tag. GPS Pet Trackers are much more sophisticated devices. These devices contain a tiny GPS receiver that can determine it’s precise location by picking up satellite signals. A transmitter also located in the device then sends this location data to the pet tracker company’s server using a cellular network. (For an in depth look at how GPS works, see the box below.) This technology allows you to pinpoint your pets location in real time. Because GPS trackers can record your pet’s movement history, some devices focus on health issues by analyzing the amount of activity and sleep levels. The PetPace tracker even monitors your pet’s body temperature, pulse and number of calories burned. The pros of GPS trackers include having an unlimited range, the ability to view your pet’s position history and being able to see your pet’s current location on a map. The cons of GPS trackers include a short battery life (typically about a week) and a monthly fee for the cellular network. Popular GPS trackers include Whistle, LinkAKC, Findster and Tractive. Radio Frequency Trackers use a transmitter on your pet’s collar to send a signal to a handheld receiver. These devices are commonly used by hunting dogs and cover about the same distance as a walkie talkie. 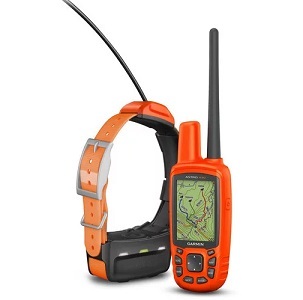 Unlike GPS trackers that show your pets location on a map, the handheld radio receiver displays a directional arrow and signal strength, directing you to your pet’s exact location. The range varies from around 500 feet to a mile – greater than Bluetooth, but not as far as GPS. The more you spend, the greater the range will be. The pros of Radio trackers include a longer battery life (up to 6 weeks), no monthly fees, and it’s light weight. The cons include it’s limited range and that they don’t keep a history of your pet’s movement. The main reason Radio trackers are popular with hunting dogs is that they can be used in areas with no cellular coverage. This is in contrast to most GPS trackers, which require a cellular service to locate your pet and communicate with your smartphone. Garmin makes a line of trackers that combine both Radio Frequency and GPS technology. Popular Radio trackers include the Marco Polo, the loc8tor and Garmin.